Good day, friends! It was a Monday for sure around here. My calendar was not the typical one for a Monday as I had a few things to do that morning which knocked me all out of wack. But I did get in a lunch time cycle sesh so I’m pumped about that! It’s a new day now and a new week and with a new week we can make positive changes every day so that we aren’t feeling like ghouls by Friday! This week’s Healthy Girl is hitting you with food choices from around my kitchen. I wanted to mix it up and tell you what I think is worth your money and time. I eat on the go. To eliminate drive-thrus and food that isn’t very friendly to the waistline or coronary arteries I opt to pack my lunch. Packing is way easier now that I finally took the dive and tried these little wonders. I love tuna and these pouches are flavored (not with fat) so that it tastes great. My favorite flavors so far are Lemon Pepper and Sweet & Spicy. It’s tuna fish with seasoning. You can buy singles or a multipack. Mix these in a salad, eat with a cracker, or just eat it straight from the pouch like the rebel you are. I got back on the HF bandwagon this month because of this thing called….LIFE. I was over meal planning and over the grocery store (talk more about that later.) So I rejoined Hello Fresh. The kids are super happy because they think it’s the coolest thing ever. I enjoy mindless cooking. These meals are portion control in action. Everyone gets the correct portion size of meat, vegetable, and starch. I love this because since it’s real food the kids get what they need in the correct amount and are FULL! There is no fake or questionable food going into these recipes. I see real meat, vegetables, and seasonings! I love it! No there is no Prozac in the meat. I don’t have to meal plan anymore. All I do is know that I am cooking HF two nights a week, two nights will be covered by a HUGE crock pot meal I decide on (and trust me it’s easy stuff like this week is pintos! Last week was chili.) Then we celebrate on Fridays and since our weekends are packed we don’t cook. If you are looking to eat healthier (portion control, real food) and also work on your culinary skills (chef training not needed) then Hello Fresh is for you. If you have a family of 1-4 then I suggest you try Hello Fresh. I do not see how a family larger than four could make it work. If you have a family of males then you probably need more prayer than Hello Fresh when it comes to feeding the herd. If you hate grocery shopping for meals then this is probably worth your time. If you like to cook but are sick of making the same rotation of foods then try Hello Fresh. And to make it easier to try it I have unlimited codes for $40 off your first box to give out. That would make your first box like $20! (And if you try it they will give me a little reward too on my next orders!) Just leave a comment and be sure to include your email address and I will get you your code to use to make dinner easy for next week! Vegetarians they have a box for you too! Alright – if you want to get $40 off your first box all you have to do is comment with your email address so I can send you a code just for you. It’s season for apples but hurry because season will be over in a matter of weeks. Oranges and their cousins, half sisters, and step brothers are all coming into season right now. I am an apple girl. I like them with peanut butter because I have a slight addiction to peanut butter. They also make the best lunchbox food. Citrus fruit is always our friend unless you suffer from ulcers. Oh and some medication doesn’t allow for the consumption of citrus fruits. Bummer. If you can enjoy them then do! Their sugar level is often lower because of their acidity. Lean No Bean Chili – One pound of ground organic beef, two onions chopped, a couple peppers of your choosing chopped, a couple cans of Rotel, a whole lot of seasonings (cumin, chili powder, garlic, salt and pepper, paprika.) Served up with cheese, sour cream, and corn bread muffins! Pinto Beans – Soak the beans over night, transfer beans and 2/3 of water to crock pot. Season with salt and pepper. Add in two tablespoons of peanut butter. Let them cook all day! The peanut butter serves as a seasoning in place of fat back. (It’s a southern thing.) And no…you cannot taste the peanut butter. Served up with onions, ketchup or hot sauce, and corn bread muffins! Salsa Chicken – Two pounds of chicken breast, one large jar of salsa verde, cook on low all day. When you get home add in as much shredded Mexican style or Mozzarella cheese as you wish, let it melt. Serve with a side of tortilla chips, in a tortilla, or with a corn bread muffin. CCK is now two years old. I wasn’t aware until like five minutes ago. So yipppeeee! I left A Brownie World two years ago (after four years!!!!) and created this area of nutrition, health, and happiness and I’m glad I did. Thanks for hanging out with me! I appreciate y’all! Previous postThis Ever Loving Week! I was a brownie world follower and so glad that you kept going with this space! I have wanted to try those tuna pouches and might make the leap! I think the lemon pepper one will be my jam. I am so sad that apples are almost over because as much as I love oranges, they also give me canker sores. Hahaha! Thanks for being a CCK friend! I heart you!!!! Can’t do the tuna, but I can certainly do the salsa chicken!! Go for it! Heart smart option for the old man too ! I can’t believe it’s already been two years since you changed to CCK. I wore myself out on tuna pouches…and I make that chicken all the time but have never added cheese. My family would like that! Congrats on the blogaversary! I remember a brownie world fondly but love the space you have created here! 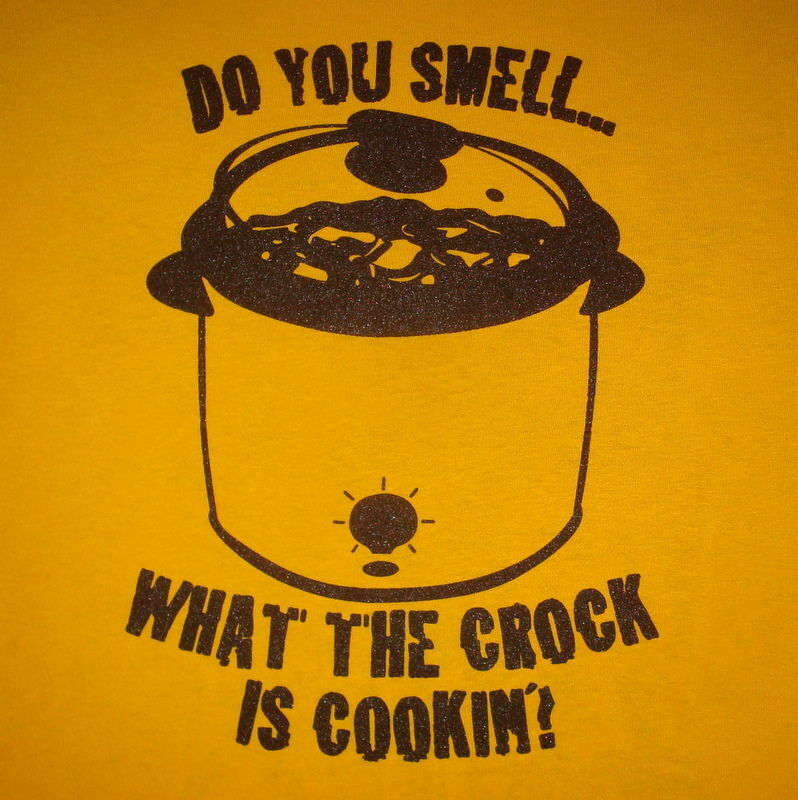 I need to ramp up my crock pot cooking! ‘‘Tis that time of year! Eat that apple sweetness! Xo!